An idea that plagues Christian spirituality is dualism. Dualism is the belief that there are two opposing realities; one good and the other bad. In modern Christianity, it is played out like this: All visible reality is corrupted by sin. The world around us (including your human body and its desires) is distorted, insufficient, and evil. Fortunately, there is a spiritual reality that is good. This alternate good reality includes everything that is unseen (God, Heaven, the human spirit). The goal within this dualistic view of reality is to escape the corrupted physical world and enter the perfect spiritual world. This process begins by God making our spirit alive when we are saved, and it is completed when God destroys the physical reality and takes us to Heaven. The Matrix gives a visible portrait of an evil world that is a lie and in continual conflict with the true and good world. 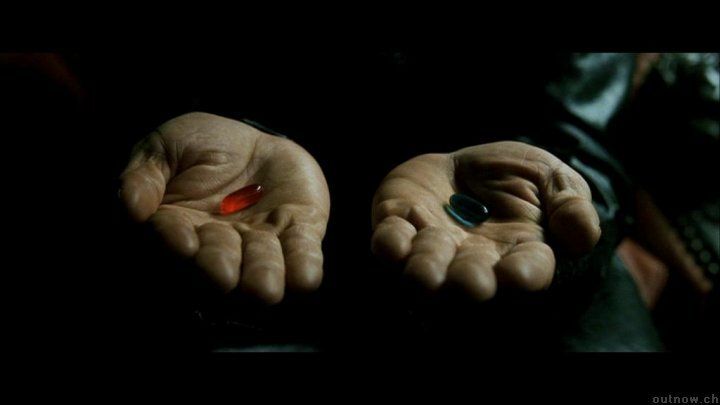 One must choose the truth and be given special knowledge of how to travel from the Matrix to the real world. This idea is classic Gnosticism (it is important to know that Gnostic philosophy has its roots in Plato). The Gnostics believed that the visible world was evil. They believed that achieving a secret knowledge would allow them to achieve gnosis; a superior, spiritual state. Some of these dualistic ideas that exist in Gnosticism and Platonism also exist in eastern philosophies such as Buddhism and Taoism. The interesting thing is that these ideas are not present in historical Judaism or historical, Biblical Christianity, yet elements of these philosophies are present in nearly every modern, Christian ideology. Even though Christianity has its roots in Judaism, it emerged in a world dominated by Greek philosophy. It is natural that Christian thinking would be influenced by Platonic (and Gnostic) ideas. These ideas were further ingrained into Christian thought by the Enlightenment, which was dominated by a deistic view of God. A deistic understanding of God sees Him as separate and far from earth and humanity. Ascribing to dualistic Christianity has caused us to find little value in this world (except as a test that gains us entrance to Heaven). Dualism causes us to see beauty as meaningless, to find no value in art, to abandon any need to preserve nature, to see science and discovery as futile, to view any attempt to ease the physical suffering of other humans as empty, to see pleasure as a distraction from our ultimate destination, and to see our personality as something to overcome, rather than something to capitalize on. Even though some flavor of dualistic Christianity has been embraced by a majority of the church, it has been rejected by scholars and church fathers who have recognized its danger. Scripture (and experience) tell us that the effects of sin upon creation have been devastating, but Scripture never even comes close to saying that sin corrupted what God made good. A dualistic view sets God at odds with physical creation. This implies that we, God’s people, should have little care for the natural world, and take no pleasure in it. This idea is a terrible distortion of the loving God who created a world full of amazing sights, unimaginable experiences, and gives humanity the responsibility to care for it. The more insidious problem is when we value people by the level that they contribute to Heaven rather than Earth. Many of us subtly and unconsciously give greater worth to the full-time minister than the person who is a plumber or lawyer. We end up telling people that their worth as a person is found only in what they can produce for the eternal world. The pianists talents are only valuable if she plays Christian concerts or church services. The investment banker only has value if he donates money to missionaries. The housekeeper is only significant if she cleans toilets in the church building. This rating people on the basis of talent and vocation makes a statement about what we think of the character of God. Does God care for people simply because they are living creatures made in His image, or does He only love those who contribute? The life offered to us because of the death and resurrection is certainly an important part of the gospel, but the essence of it is the Kingdom of God. The Kingdom of God is the fulfillment of all the promises contained in the Old Testament Scriptures. The Kingdom of God is a world where God rules, there is continual peace, goodness, abundance, and harmony. In the Kingdom of God there is no sickness, no death, no poverty, no discrimination, and no oppression. And Jesus says that this Kingdom is springing up right here and right now in the middle of this world. In fact, He gives us the responsibility of helping to bring it to reality. This is certainly not a dualistic message. It is a message of hope and life here and now. The gospel of Jesus is reduced when it becomes all about escaping this world in order to go to Heaven. The gospel is reduced when Earth becomes Heaven’s waiting room. Can we embrace an understanding of reality that sees a continual interaction between Heaven and Earth, where our purpose is not to escape Earth for Heaven, but to bring Heaven to earth? We are both physical and spiritual beings created by God as such. Unfortunately, many people live their lives today as if they were only physical beings. As a result, they give a false impression in our society that our spiritual natures have little if any role to play in the physical world. Too bad. They don’t know what they are missing. Thanks Ronald. I believe that in addition to seeing only the physical, many of us exist as if only the spiritual is important. This is just as severe an error.